Many retirees like the desert Southwest for its climate. 1. What Is Meant by a Self-Contained Retirement Community? If you love your hometown but want to retire from snow shoveling and winter traffic, you can become a “snow bird” and head south to warmer weather in the winter and return to your home in the North in the summer. Or you can decide to pull up your roots and head for a permanent spot under the sun. Some people dream of snow-covered mountains and a retirement on the slopes. 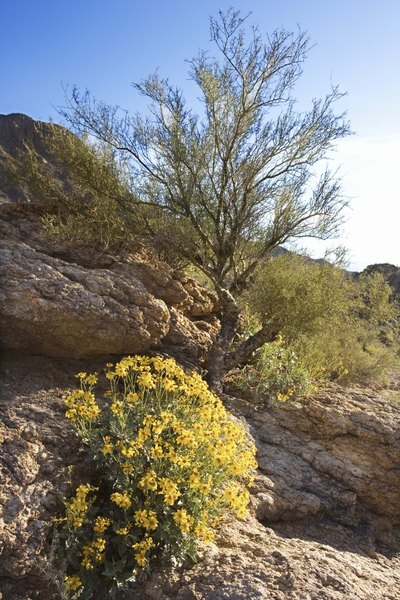 For others, especially people with allergies, respiratory problems or achy joints aggravated by cold and humidity, the desert Southwest is a favorite destination. Budgeting is more important than ever on a fixed income. Some communities offer affordable taxes and housing and have become popular retirement havens for those reasons. Services and amenities in retirement communities are usually geared to an older demographic and are priced to accommodate seniors on a budget, offering discounts and free items at grocery stores, restaurants, movie theaters, museums and for transportation. Communities geared to seniors also often offer affordable health care options, along with trained health care providers and facilities that understand the needs of an aging population. Proximity to your family is another important factor when choosing a retirement destination, especially if you have been looking forward to being involved in your grandchildren’s lives and watching them grow. If you move away from your adult children or other relatives, you will cut off an important safety net for times when you may need help with errands or support with health-related issues. On the other hand, some retirees cheer the day when they can move away from dependents and lose some responsibility. Your hobbies and interests are major issues when it comes to where to retire. If playing golf all year long has been a retirement fantasy, you’ll need plenty of sunshine and warm weather to cooperate. Pick a destination that will allow you to fulfill your lifelong dream, whether surfing into the sunset, fly fishing in a mountain stream, being near cultural events and activities or painting the ever-changing desert.